What can I say about this album that starts off a beautiful sunny morning ! Absolutely gorgeous album from old English folk songstress Shirley Collins and sister Dolly. The Early Music Cosort of London is here playing all medieval instruments including a sackbut (Renaissance period trombone). Sister Dolly plays a portative ??? organ (small pipe organ that you can carry). The original album from 1969 was only 28 minutes so in 1976 they lengthened the album to over 50 minutes which is very enjoyable since all of the songs are seamless ! Shirley's voice carries the album with her distinct folky high register vocals ! I found no rating for this album , I'll go...5/5. 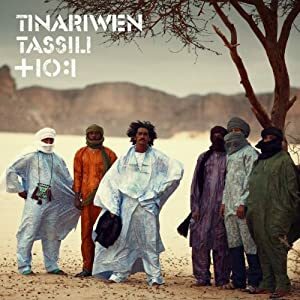 Sixth album for Tuareg nomads, released in 2011. They really are from a nomadic tribe, and this album was recorded in the South Algerian Sahara desert. It's a much more intimate sounding album than their previous releases, maybe as a result of recording in their natural environment. The music is a mix of Bluesy stuff, and tribal African stuff, with evocative vocals mostly sung in whatever language they speak, although the lyrics actually come through in English briefly, which sounds oddly wrong. Rhythmically intoxicating World music of the very best quality. "Writing about music is like dancing about architecture"
Another album from the queen of Northumbrian Folk. It's a foregone conclusion that I'll like everything that Katherine has released, but they still need to be checked out before purchase, right ?? 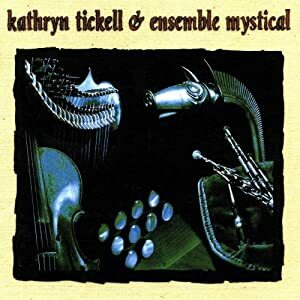 This one incorporates some medieval instruments, plus a handful of tracks with vocals, which is a bit unusual in her catalog. I find KT's brand of Folk so enjoyable that it'll only be a matter of time before all of her releases are mopped up. when in the US a few weeks ago MH and i stayed at his daughter and Major Tim's, Major Tim pulled out some cd's for us to listen to on our 'down time' from our "after the headrush" tour. MH wasnt too keen at first of listening to another 'hank' prodigy as he doesnt really like junior's music and was probably not wanting to hear another country/pop crossover album., me, i really hadnt heard much of "original hank" and none of Jnr so i had no real preconceptions of Hank III, but we gave the album a shot anyway. i think both Music Head and I were preasantly surprised by this album....i was so impressed that i bought a copy last week. 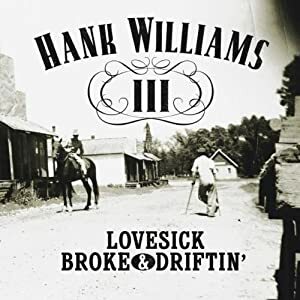 Hank III is the grandson of country legend Hank Williams and the son of Hank Jnr and in a lot of ways sounds very much like his grandfather Hank the 1st. this album is 'real' country from days of old, his vocals even have that wailing drawl of his grandfather. there are no bad songs on this one, infact it is exceptionally good, even the closing track which is a cover of Springsteen's "atlantic city" holds its own here, allbeit done in a tradional country sound, and for those who dont know The boss's version you'd swear it was a real country song. there are times on this one that you'd also swaer that Hank Snr has risen from the grave to record this one!! Try composer Ryiuchi Sakomoto's - A Day in New York....bossa nova tribute to Carlos Jobim !!!!! nice listening !!! A fairly underated singer songwriter, American folk singer Gillian Welch delivers a very enjoyable folky album just released last June ! The title of the album is enough to attract me to listen to it and I'm glad I did ! Songs written by Welch and partner David Rawlings on guitar. I'll easily rate this as a 5/5 !!!! My favorite from Gillian Welch is Time (The Revelator) from 2001. "God created man, Sam Colt made them equal." You can't go wrong with that album either...more country on Time ...very good !!!!! Bought at the gig on Saturday. This is their most recent studio album, from 2009. Ska music of the highest possible quality. Highly melodic, and impossibly upfull songs from a great, but criminally neglected band. It's not even particularly easy to get hold of except from the band's website. AllMusic don't even acknowledge this album's existence. Boooo !! Current time: 22-04-2019, 00:15 Powered By MyBB, © 2002-2019 MyBB Group.